Last week, Hollywood helped me imagine a place in the spotlight for the women of The Jemima Code. A world-renowned actor and a producer appeared on “Good Morning America” to discuss their documentary film. The project tells the story of unsung heroes, tracing obscure African-Americans from the earliest days of the republic through today. Historical documents illustrate the struggle. Archival materials expose unknown contributions to American culture. Dramatic and emotional readings by noted Hollywood personalities give life to their thoughts. The film is called For Love of Liberty: The Story of America’s Black Patriots, but it could just as easily have been titled after this blog: The Jemima Code: The Story of America’s Black Cooks. 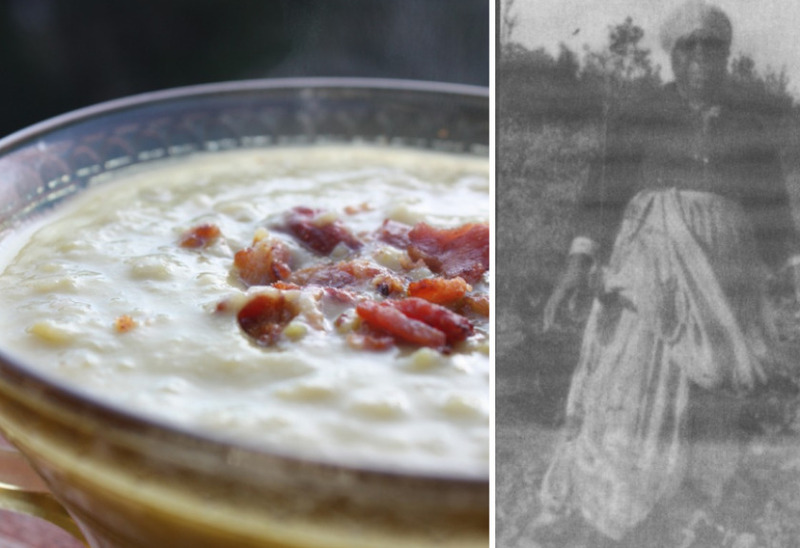 Take a look at Southern cookery literature from the colonial era to Reconstruction and post-World War I and you’ll see stories of real women cooking, feeding and nurturing families as those folks went about their daily work. But you’ll have to look carefully. The recorders of history mostly overlooked the contributions made by these people. The “exotic-sounding preparations were first known through English cookbooks, contained various strands of direct Indian influence, and, were developed by African American ingenuity and creativity,” says historian Karen Hess, but Aunt Dinah entered history as the provider of labor. Without property rights, the cooks lost ownership of the hybridized cuisine they created when their “soul” food, (black-eyed peas and wild greens) passed from the cabin to the Big House. They were like the slaves who produced ironwork, baskets and architecture: they transmitted their craft orally and left little written proof of their accomplishments. Once in written form, these “new, original” American formulas were sold to an eager cookbook-buying audience, rarely acknowledging any debt owed to the servants who modified the English recipes – whether the cooks were the indentured servants of the North, or the slaves of the South. Consider the diary of Emily Wharton Sinkler. Emily was evidently a very busy low-country plantation mistress. In her journal and letters she describes the anticipation of arriving visitors. Mixing and mingling at the horse races. Scouring the countryside for cuttings and root clippings for her gardens, and days filled with reading, writing, music, long walks, and horesriding. The portrait of Emily also details her love of traveling and shopping in Charleston and Philadelphia, the wonderment of lavish dinner parties, her housekeeping experiences, rigorous Bible studies, and the family’s strict observation of the Sabbath. Her receipt collection is just as full as her schedule, boasting recipes for numerous items produced by her family’s enterprise, including recipes for household cleaning solvents, dyes, soap, and candles. Interestingly, there is little mention of Emily’s servants, even though some of her favorite dishes reflect the African influence. Like other authors of the era, Emily “consigned cooks to anonymity, depicting them in condescending caricatures as bandanna-headed mammies, and kindhearted, but formidable servants,” says culinary historian Barbara Haber. And, I can’t help but wonder: When did hard-working Emily sleep? The culinary publishing industry has long presumed, that changing a single ingredient or step in the method spawns a new dish and therefore new ownership. This standard allows that even a cook whose imagination is first stirred by a written recipe, but who substitutes key lime juice for lemon, opts for a different cut of meat, increases the amount of sweetening, or for that matter changes sugar to molasses can and should expect her name to follow the recipe title. If that is true, then the recipes slaves like Chloe created while crossing culinary boundaries in the Sinkler household are a strong witness to the African American cook’s reputation, and testify to their value as worthy documentary subjects. No, these women didn’t risk their lives for their country. They just provided the nourishment for those who did. In the introduction to An Antebellum Plantation Household, author Anne Sinkler Whaley LeClercq writes that Emily had various receipts for pea soup, and she especially prized fresh peas. The addition of salt pork and black-eyed peas to Emily’s recipe for Winter Pea Soup shows the slave influence. I adapted her recipe for modern tastes. It is perfect for the end of winter and is dedicated to Chloe, her cook and to Maum Mary, shown above picking peppers. The dish is already rich in fiber, but if you want to make it a power-house, go ahead and stir in cooked black-eyed peas to your liking. Place peas in a large saucepot and add enough water to cover. Soak overnight and drain. Or, to reduce cooking time, bring the peas and water to boil and boil 2 to 3 minutes, then turn off the heat and cover. Let stand 1 hour. Drain. Add 2 quarts water, ham bone, onions, carrot, celery and garlic to the pot. Bring to boil, then reduce heat and simmer gently about 1 1/2 hours, or until peas are tender. Remove bone from soup and cut off the meat. Dice and return to the soup. Season to taste with salt and pepper. Jeanette L Van Wick on AUNT PRISCILLA: NEWSPAPER CULINARY COLUMNIST?